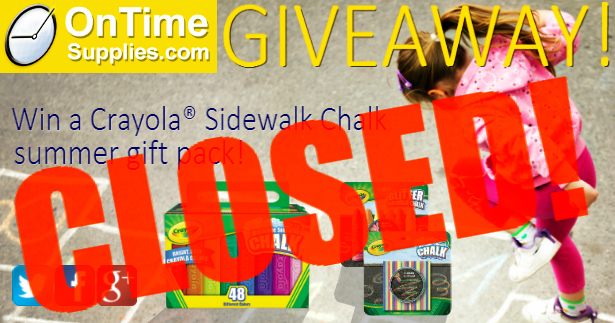 The Crayola Sidewalk Chalk Giveaway is closed. Thanks to everyone who participated. All of your Likes, Tweets and Shares made this one of our biggest giveaways ever! Only our MASSIVE school supplies giveaways have had more participants! Kristi Price! Congratulations Kristi! I hope you really go to town with the purple chalk, and have fun with all the other colors too! Didn’t win the giveaway? No worries, you can always buy Crayola Sidewalk Chalk at OnTimeSupplies.com. Plus our next giveaway will be here before you know it! 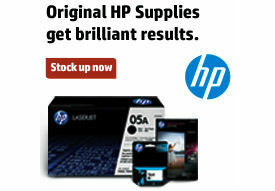 Keep your eye on the Office Ink Blog for more chances to win free stuff from OnTimSupplies.com.